You may want to break out your best pocket protector for this one. But start spouting formulas, and watch people move away. 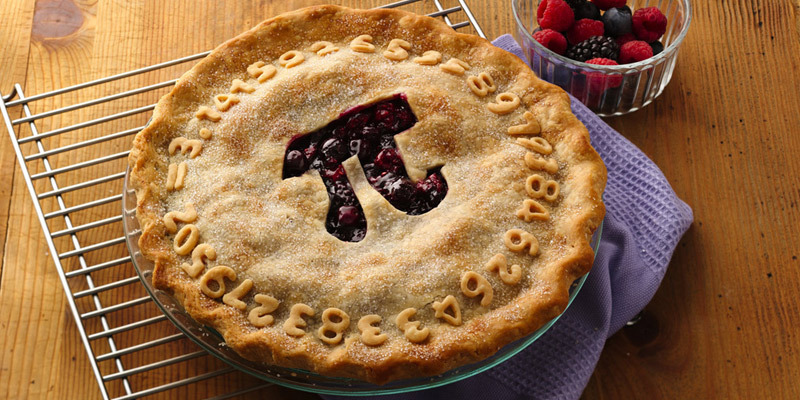 Celebrate everyone’s favourite mathematical constant on the eve of Pi Day. Plus it also marks the restart of Wednesday night pie rides as daylight savings gives us lighter evenings. Meet at the usual Pie Ride start time and place: Canada Place flagpoles at 430pm. At the end of the ride, at about 615pm, we continue riding to Fraser and 19th to the Pie Hole and celebrate with real pie, the kind with calories. No need to rsvp, just show up! This entry was posted on Tuesday, March 5th, 2019 at 1:17 pm and is filed under Old Rides. You can follow any responses to this entry through the RSS 2.0 feed. You can leave a response, or trackback from your own site. Ride starts at 4:30? I’m OK with that but it’s an hour earlier that spring and summers past. That’s because there is no time to waste when pie is involved. We’ve been starting Pie Rides at 430 for at least a year now. The usual suspects joined me on this rides, along with a surprising blast from the cycling past. The 6 of us rode under ideal spring conditions, though not all made it to the gastronomic delights that followed. We met our fruit and carbohydrate requirements in a wedge-shaped package. Here’s to Wednesday night Pie Rides and return of daylight.